COLIMATA Concorde: Overview of Features Published By: Alex John April 23, 2019 COLIMATA has listed an overview of the features to be included in the release of Concorde. They include details on the release, sound, announcements, systems depth, navigational methods, video tutorials and manuals. See below for the full message, posted to the forum thread at x-plane.org: "Hi, thank you so much for your encouraging feedback! "The early access version will be available starting ~ mid-May on x-plane.org. "Early access versions have advantages and disadvantages. It’s a good time to start now. The jet is ready for flight and most missing details can be updated via little plugin updates (~2MB file to download). Only when the early access period is finished after a few months, a redownload of the jet might be necessary. "We need your support to move on with the development. We are working on this as hard as we can for more than 2 years. What’s as important as that: We need to know if we are going in the right direction. We in the team are super happy and proud of Concorde FXP of but we want that the customers are too. "+ Sound: In the works these days. Fmod 3D sound. Only the best for our baby;-) The experiences on our FA-18F and MiG-29 engines help a lot. I’m confident you will really like the result. "+ Announcements: The Pilot, Copilot and Flight Engineer announcements will be in English at least for version 1.00. I’ve learned to appreciate the French language reading French Concorde manuals. With beautiful sounding words like ‘vitesse de décollage’, ‘le réacteur’, ‘le poussee’ or ‘Limites de centrage’. Unfortunately, I don’t speak French but my Italian and Google were a great help. I’m seriously thinking to do a French language course later to know this better. "+ System depth: The early access version includes everything one needs to successfully plan flights and do flights. + 99% of all cockpit switches are clickable and at least animated + To my best knowledge all main instruments work + 707 custom lights are implemented, many of them adjustable dynamically by the appropriate switches OR the handy quick access areas. "The only serious drawback I had to accept is Mr. ‘I do want I want’ Autopilot that will need much more refinement. But this requires you just to download a ~2MB file later, then you have the new Autopilot. The aircraft ships with a simplified autopilot form day 1 though. Don’t worry. "As said several times before, a fully manually interactive Engineering station is something for potential version 2.0. BUT: ALL switches on the engineering station are animated and the base functionality is handled by the virtual flight engineer the follows your commands. For example: Fuel is pumped around in the jet to balance the aircraft. You can select the fuel TRIM status you wish (Concorde has fuel trim and elevon trim) and the virtual flight engineer will execute your order. Currently, I limited the maximum amount of weight difference the forward and rear trim tanks can have in order to make this save. Later there will probably be a setting where you can click ‘Use fully realistic trim weights’. "+ Navigation includes something for every taste. Form quick and easy to super complex: 1. Radio beacon navigation (using the cockpit instruments) 2. FMS via Graphical user interface 3. Hidden GPS to display/change/follow the route on two big modern GPS displays 4. Interactive on board CIVA (with limited functionality) 5. Compatibility to Phillip's Pro CIVA (later even more integration of that) "+ Video tutorials: There will obviously be several video tutorials later on. Plus the jet ships with handy guided onboard ‘3D tours’ feature. "Not all of this will be ready from day 1 of the ea-version! "+ The jet ships with several manuals for different tastes: A.) 10 essentials pdf (for those who want to start as soon as possible) B.) Quick start manual (with a lot more details but still contained size) C.) Full manual with a lot of background info and details (downloadable publicly ~June) "This should give you a good overview. More info later. Best regards Florian COLIMATA" This follows on from last week's new previews of the supersonic airliner. The full thread regarding development and information can be found here. SOURCE INFO DEVELOPER POST LINK : NEWS SITE ARTICLE LINK : COLIMATA Concorde: Overview of Features Published | Threshold WWW.THRESHOLDX.NET With the release expected in mid-May, COLIMATA has published an overview of their Concorde, including features on release, systems depth, navigational methods and more. | Threshold: Question the Answers. Up-and-coming scenery developer, PuffinFlight has released three airfields located in the Lower Silesia region of Poland, located around Wroclaw to the Walbrzyskie Mountains. The package includes the Goledzinów, Tworzyjanów, and Świebodzice airport. It also includes sightseeing landmarks such as buildings on Sleza mountain, the Swidnica cathedral, or Ksiaz castle. These airfields are all general aviation oriented, and perfect for an easy going VFR flight around the scenic surroundings. The requirements to install this scenery include the developers own library, the PuF Libs, the HandyObjects Library, and the 3D People Library. Non-required plugins include SAM, Flags of the World, and FlyByPlanes. Installation instructions and the scenery itself can be found on its X-Plane.org page for FREE. Features All custom buildings and other details PBR textures Accurate orthophotos Accurately placed vegetation and buildings Dynamic objects such as hay rolls during times of harvest, or puddles on a wet runway Animated hangar doors + more Very FPS-friendly SOURCE INFO DEVELOPER POST LINK : NEWS SITE ARTICLE LINK : PuffinFlight Releases Lower Silesia Airfields for X-Plane 11 | FSElite FSELITE.NET Up-and-coming scenery developer, PuffinFlight has released three airfields located in the Lower Silesia region of Poland, located around Wroclaw to the Walbrzyskie Mountains. 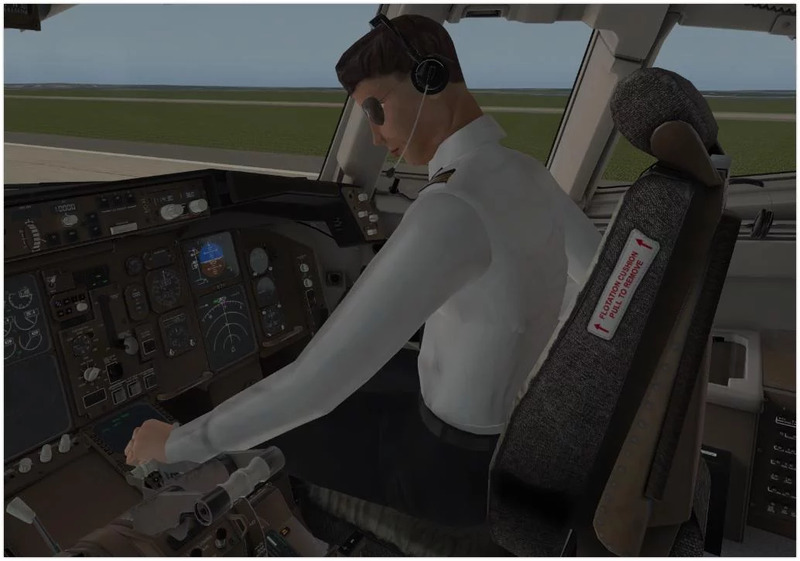 PhotoSim Labs Confirm Conversion of Bahamas for X-Plane has Begun By: Alex John April 21, 2019 Prepar3D/FSX developer PhotoSim Labs has confirmed on their Facebook page that work on the conversion for X-Plane has begun. The scenery is due to release for the ESP platforms by Wednesday. The scenery focuses on the scenery in the Bahamas, including South Bimini & Cat Cay, and Chub Cay & Little Whale Cay. All previews in this article have been sourced from recent posts on their Facebook page, and are within the ESP environment exclusively. Confirmation of the initiation of the conversion can be found on their Facebook page post here. Their website is also available to view, here. SOURCE INFO DEVELOPER POST LINK : NEWS SITE ARTICLE LINK : PhotoSim Labs Confirm Conversion of Bahamas for X-Plane has Begun | Threshold WWW.THRESHOLDX.NET With the scenery due for release this week for FSX and P3D, PhotoSim Labs have confirmed that the conversion of their Bahamas scenery for X-Plane 11 has started. | Threshold: Question the Answers. This is an interesting one? Developer JarDesign has announced the public beta for a co-pilot plugin for the FlighFactor 767 for X-Plane. Over on the X-Plane forum, JarDesign posted that the plugin is compatible with the FlightFactor 767 Professional V1.2.13 and above. The post mentioned that the co-pilot will be able to take care of standard operating procedures and is responsive to voice commands. At the moment, only a male co-pilot called Sandy is modelled but there will be a female co-pilot to come. To take part in the public beta testing, follow the instructions from J.A.Romanov posted here. There are a limited number of 25 tester keys available but for those of you who do not make it on to the beta, you can download a demo version that can be found in the same post. Feature List Animated 3D Co-Pilot Model (Male, Sandy) Speech Recognition Can Speak Reads Checklists Aloud Can Operate with Events (Flight Parameter Detection) Can Execute an SOP (Normal and Limited Procedures) Script Based (possible to change and edit procedures) SOURCE INFO DEVELOPER POST LINK : NEWS SITE ARTICLE LINK : JarDesign Releases Co-Pilot Beta for Flight Factor 767 | FSElite FSELITE.NET Developer JarDesign has announced the public beta for a co-pilot plugin for the FlighFactor 767 for X-Plane. New Version 2.5 Just Released ! https://photos.google.com/share/AF1QipOObYXZHQqs4fW8JN7ujxKAotRy2_3TVFC9M9h0WoSKhDtXJZQfC3kTyLdOVu_-rA/photo/AF1QipNmrDqOwJwc0Od8k7qocZpZq70oiJgjM3cvms6k?key=bFVrZFBsd2Jzc1dSLTdVT0ZLUEZGXzdWdFlLZGZn Ultra Weather XP is a powerful application with many sliders and many options to control the graphics rendering of X-Plane -Complete Advanced System Plugin to Enhance X-Plane Weather Visually. -Available for Windows Mac Linux. -Works via X-Plane default weather system and compatible with weather information plugins such as ASXP, FSGRW, NOAA. -Compatible with any other Plugins, Scripts which is not controls X-Plane weather visually. -Interface divided to multiple tabs supported by many of buttons and sliders which give the ability to change the settings immediately. -Dozen of Sky Colors for all weather conditions all times with two types of horizon and sun for each settings. (Spectacular & Normal Skies) -Dozen of Clouds Textures for all weather conditions with three available colors (Blue Grey White) and two sizes. (2K & 4K) for each Clouds textures. -Multiple Water colors. -Enhanced Automatic Mist control with three option Low, Mid, High to controls the fog depending in reported weather, and Manual Control via a slider. -Automatic Horizon Control with manual control via a slider. -Automatic Sun Glow Control with manual control via two sliders. -Automatic Sky Scattering. -Ability to increase the glow of the whole Simulator via a check mark. (Extra Gain) -Automatic Fog decreasing during sunset to avoid the illuminated fog under aircraft via a check mark. (Reduce Sunset Fog) -Ability to control the Saturation of sky color via a slider. (Sky Colors Depth) -Ability to increase Terrain range via a slider. (Terrain Distance) -Ability to control the brightness of the whole simulator via a slider. (Overall Brightness) -Ability to control the glow of the moon. -Textures changing randomly and separately, in each X-Plane restarts via one button for each textures. (Random Sky, Random Clouds, Random Water Colors) -Automatic and Manual Clouds brightness. -High definition Clouds shadows. -Automatic Clouds size and amount depending in reported weather with manual controls via separate sliders. -Automatic Avoid Cutoff to avoid cutted Clouds by Terrain, with manual control via a slider. -Ability to blend Clouds with terrain via a check mark. (Extra Blending) -Three Overcast Mode. (Puffy clouds, Normal Clouds, Flat Clouds) -Ability to reduce Flickering Clouds via three check marks. -Automatic Clouds coloring depending on sun position with multiple manual coloring sliders. -Ability to control the clouds shadow intensity via a slider. (Clouds Shadow Power) -Ability to increase the amount of puffs for "Flying through Clouds" effect and for all clouds via two Separate sliders. (Amount of in + Out Clouds puffs) -Automatic Water Waves control with multiple Manual controls via sliders. -Ability to turn water reflection on or off via a check mark. -Ability to control water waves speed via a slider. -Custom Lights Textures, with ground and objects illuminating effects. -Ability to control the power of all lights. -Separate Sliders to control the power of far and near lights. -Automatic Night Haze which reflect night lights over the fog depending on cities size and turn it off while flying outside cities with Manual control via a slider. -Custom Thunder, Rain, Hail, and Ambient sounds. -Ability to control the Volume of Ambient sound via a slider. -Ability to turn all objects shadows on or off via a check mark. -Ability to control objects shadows resolution via a slider. -Ability to increase the range of objects shadows via a slider. -Ability to control the intensity of objects shadows via a slider. (Shadows Power) -Ability to change between Default X-Plane and Ultra Weather XP via check marks. SOURCE INFO DEVELOPER POST LINK : Ultra Weather XP 2.5 STORE.X-PLANE.ORG NEWS SITE ARTICLE LINK : Ultra Weather XP 2.5 Released - The X-Plane General Discussions Forum - The AVSIM Community WWW.AVSIM.COM Abdullah just announced on Facebook the product has been released, if anyones looking to give it a try. MSK Production Islamabad Airport Package Announced By: Sam Clark April 19, 2019 Pakistani developer MSK Production has recently seen a revival in public activity, with news appearing today of a new airport pack including both of Islamabad's airports - the now closed Benazir Bhutto International Airport (OPRN) and the much newer Islamabad International Airport (OPIS), opened in May 2018. Over the course of a few posts on the MSK Production Facebook page, the developer outlines plans to develop both airports to be released in one package. The newer airport, OPIS, will be scratch built for Laminar's sim, with OPRN being converted from the Prepar3D/FSX version released in 2016. You can find more from MSK Production over on their Facebook page. SOURCE INFO DEVELOPER POST LINK : NEWS SITE ARTICLE LINK : MSK Production Islamabad Airport Package Announced | Threshold WWW.THRESHOLDX.NET Pakistani developer MSK Production has recently seen a revival in public activity, with news appearing today of a new airport pack including both of Islamabad's airports. | Threshold: Question the Answers. x-plane First TrueEarth USA Sneak Peek! The RV-8 is an existing aircraft well into development by AOA Simulations. Our last coverage was two weeks ago, which showed many previews and product information. Today however, sees the developer implementing the tricycle variant of the aircraft, the RV-8A. It was accompanied by a single render and posted on Facebook: ‘:m: The developer asked its customers just yesterday if they would like to model it. All liveries for the tail dragger variant will work with the conventional setup - the developer has posted many screenshots of the liveries included on their Facebook page. In another Facebook post, AOA Simulations summarised their progress on Sunday: For many more previews of the liveries to be included, check AOA Simulations' Facebook page here. SOURCE INFO DEVELOPER POST LINK : NEWS SITE ARTICLE LINK : AOA Simulations Developing Tricycle Variant of RV-8 | Threshold WWW.THRESHOLDX.NET AOA Simulations' have announced the RV-8A, in addition to the RV-8 already in development. The main difference between the two variants is the wheel configuration. | Threshold: Question the Answers. The popular electronic flight bag addon for ESP-platforms by Aivlasoft has now been made available for X-Plane users. This follows an announcement by the developers in late February regarding compatibility with Laminar's sim. The EFB is Aivlasoft's flagship product and combines with either Navigraph Charts or Aerosoft NavDataPro to give users the full flight navigation experience. Also featured are detailed interactive ground charts and live weather displays (when fed data by Active Sky, FSGRW etc). To install Aivlasoft EFB for X-Plane, check out this page on their website and try the demo version, which allows for a 29 day fully-functional free trial. Beware of a few limitations the EFB has on the X-Plane platform - for example, the taxi chart feature is unavailable in the X-Plane version. See the full list of limitations here. Alternatively, you can purchase the EFB here for CHF 59.90 (Swiss Francs), which roughly equates to $59.00 USD. See our previous article for more information on Aivlasoft EFB for X-Plane. SOURCE INFO DEVELOPER POST LINK : NEWS SITE ARTICLE LINK : Aivlasoft EFB v2.0 Now Available for X-Plane | Threshold WWW.THRESHOLDX.NET The popular electronic flight bag addon for ESP-platforms by Aivlasoft has now been made available for X-Plane users, following the announcement back in February. | Threshold: Question the Answers. Frank Dainese & Fabio Bellini's latest region-based scenery, Eiger Park 3D, is nearing release. The project was debuted towards the end of March and has seen a few progress updates since, however firm details about release had yet to be made available. In a post on his blog, Frank gives us all status update on beta testing from the mountain high in the Swiss Alps: "The tests of the "EIGER 3D park" scenario started a few days ago. I still foresee until the end of April, then the corrections and changes. Expected date release: May 18 Saturday, 2019" ‍ Frank also included some new shots of the scenery in his post. You can learn more about Frank & Fabio's latest scenery, Cerro Tore/Fitz Roy, in a previous article. SOURCE INFO DEVELOPER POST LINK : NEWS SITE ARTICLE LINK : Frank Dainese/Fabio Bellini Eiger Park 3D Release Date Announced | Threshold WWW.THRESHOLDX.NET Frank Dainese & Fabio Bellini's latest region-based scenery, Eiger Park 3D, is nearing release. The project, announced in March, is due to release on the 18th of May. | Threshold: Question the Answers. ShortFinal Design has published more screenshots of Global. In the latest Facebook post, the developer stated: "A closer look at some of the new terrain textures for SFD Global. Since there's been some confusion, I want to clarify that the terrain textures are independent of the autogen and work globally. They are not limited to individual regions." The screenshots attached to the post are all below. The latest updates can be found together on ShortFinal Design's Facebook page. With this in mind, you may consider checking out some earlier coverage of the product: our exclusive announcement of the scenery, and autogen previews from around the world. SOURCE INFO DEVELOPER POST LINK : NEWS SITE ARTICLE LINK : SFD Global: Close-Ups of Terrain Textures | Threshold WWW.THRESHOLDX.NET More previews have emerged from ShortFinal Design's upcoming Global scenery for X-Plane 11. It was also clarified that terrain textures are independent of autogen. | Threshold: Question the Answers. Developer's diary - Traffic Global for X-Plane 11 by Jim Keir (Developer) Hello! Welcome to the dev diary for Traffic Global for X-Plane – TGXP to friends. I’m going to be talking about how this came about, what it does, what it doesn’t do, why, and quite a lot of what goes into making it work. There’s going to be a certain amount of techy background detail – hey, it’s a dev diary – but I want this to be open to anyone with a little interest in what goes into making your sim a nicer place to be.January / February / MarchDev Diary for Traffic Global XP – March Welcome back! After dealing with providing aircraft models and the actual traffic database – at least partly – last month, it’s time to take a step back and look at some of the design choices that were made, and why. The big question of course is “what are we trying to achieve?”. Well… traffic. In the sim. Speaking as a real-life (if very occasional) pilot who flies near London I’d love nothing more than to remove a great deal of traffic! However, there’s no question that in-sim there are far fewer other aircraft around and if you’re going for “as real as it gets”, that’s a problem. So, once again, what are we aiming for? You might say “as real as it gets but c’mon guys it’s a simulator”. I was reading a forum thread the other night about a completely different traffic product which had a long sequence of posts along the lines of “… yeah, but my local airport, Hicksville Muni, added three parking spots on the grass last week and does this product that was released 18 months ago use them? Does it heck. What a waste of money.”Sim Heathrow - not quite the same as the real Heathrow One of the earliest design choices to be made was how dynamic the traffic would be. In other words, it would be technically possible to use a live traffic feed, or some kind of subscription service with continual, drip-fed updates, to keep things absolutely bang up to date – but that’s a lot of extra work, infrastructure, maintenance, testing, data licensing fees and so on. Forever. There are other downsides too; you need a permanently-on good quality internet connection, not too tricky nowadays but still a consideration. Differences between real-world and simulated airport facilities, which are always going to exist, will be even more obvious. On the other hand, a static database of flights, like Prepar3D uses and TGXP will use, is simple to update periodically (by the developers) and can be changed at will (by the end users) if they really want to. On the plus side, it’s a single unchanging file, so it’s simple. (This is absolutely not true – see below!). On the downside, it’s static. If an airline changes a schedule in the real world then the file doesn’t magically update to match. Another drawback is that the file format that’s being used – at least right now – is identical to the one used by Prepar3D, to let us re-use the existing files and management tools, and this format doesn’t allow for start and end dates. That means that if a particular flight runs only from March to September, there’s no way of dealing with that. That’s a shame, and I’d love to get this feature in. It might – that’s might, as in maybe, maybe not – make it in yet. I’m in control of the traffic database format so it would be very easy to add. It also means more complex preparation of the original data, writing a new and more complex traffic database compiler, and no longer being able to share either the compiled database or the front-end software with the Prepar3D version therefore having to completely re-write that. That’s all time that could be spent making planes do things like fly round corners, or remember to lower their landing gear on approach. So will you be able to stand in the observation gallery of a real-world airport with X-Plane running on your laptop and watch both a physical aircraft and it’s simulated partner taking off at the same time? Actually, yes, in some cases, but – and here’s the thing – that’s not the point. Will the traffic in-sim be as busy on a typical Tuesday as it would for the real airport? Should be, more or less. Depends. Will it feel different on Sundays? Again, should be. We’re aiming to make a given airport feel as busy as it ought to, on a given day of the week and time of day, where possible using real-world flight data from the recent past. If you’re planning on being able to launch X-Plane to check if your wife’s flight landed on time and should you start getting some food ready for when she gets in, there’s probably more appropriate tools out there! It looks like this diary is turning into “The Ugly Truth About Traffic”, so let’s keep going and then never have to touch it again! One of the other comments in that forum thread went along the lines of: “Surely you just download some commercial data, reformat it the way the simulator wants, and ship it? A few hours’ work at most. How hard can it be?” Well, that’s genuinely a very good question, so let’s find out. (Spoiler warning: you might want to get a stiff drink at this point!) First up, the real world usually differs from the simulated one. More specifically, airports can come and go, or change their four-letter ICAO identification codes, meaning that the downloaded flight data might not match the world that the simulator knows about. Even more specifically than that, parking availability is often different. Very different. If a real-world airport can handle 50 planes at once while it’s simulated version can only handle 40, that’s potentially 10 flights at any given moment that can’t happen, and that could be hundreds over the course of a single day. Those flights would all at some point fly to and from other airports, so even if those airports can handle the number of arriving planes, they still won’t be arriving. It’s not just how much parking that’s the issue here, it’s also the type of parking. Different types of aircraft need different grades of parking slot, so if the simulated airport has the full 50 slots but they’re graded too small, that’s another difference that needs to be worked out. Usually simulated airports are short of parking compared to their real-world equivalents. Many airlines also pay for reserved parking at given airports, excluding all other airlines, so this also needs to be checked. Some parking slots are so close to others that only one of them can be used at a time; sometimes they’re called something like “257L” and “257R”, but sometimes not so it’s not a reliable way of checking. What else needs to match? Well, the next most obvious thing is the aircraft. Each commercial flight record will have an aircraft type, so we need to make sure that that type is available in the simulator, with the correct livery for the right airline. That means it needs to be cross-referenced with a list of every airline in the world and every commercially-used aircraft in the world, and each combination of these cross-referenced with the types that are provided with the traffic package, to see which routes we can use. We might also want to look for alternatives; if there’s no specific livery for a Garuda B737-8, what’s the nearest equivalent that we do have? Oh, and remember to check that the replacement aircraft type can fit into the same parking slot size! And what if we don’t have anything for Garuda? What’s the most appropriate airline to use instead? Or should we just use unpainted aircraft? Or maybe drop the flights? Getting a little trickier now, right? Take a deep breath and read on! Next up are schedule changes. The commercial flight database will cover a period of time, and during that period, flights might change. So, you could end up with flight AB1234 leaving an airport at 10:05 on a Tuesday and 10:15 on the same Tuesday if you’re not paying close attention to dates. It might also change routes, or aircraft types, or day of the week, or any combination of these, so we need to look out for these changes and decide which version of the flight to use. “All of them, just in case” isn’t really a useful option because that takes up extra parking slots, which we already know are in high demand. Finally, we have the small problem that the commercial flight database is a list of flights, while what we need are routes. Prepar3D and TGXP both work on the principle that planes shouldn’t ever just pop into existence at a gate and then pop out of existence again after landing. It makes sense if you think about it; how many airlines buy a new plane, load it with passengers and fly it to the destination, then scrap it? If you have a plane that flies from A to B, at some point you want it back at A again ready to run the same flight the next day. This means that the simulator expects to be given a list of routes, where a plane leaves airport A, goes some other places, and ends up back at A again. It also wants to be told how often the route starts, ranging from two hours up to eight weeks. And don’t forget that the plane needs a parking slot for all the time it’s not in the air after the route finishes, while it’s waiting for it to start again.This one plane is the end result of a lot of fiddling So, where are we now? We have a list of around 200,000 flights. Some are almost-but-not-quite duplicates, so these need to be found and we need to decide which version to use. Some fly to airports that might have different IDs, or just not exist at all, in the simulator. The flight times, which are all in local time, need to be converted to UTC time which means getting accurate timezone and daylight savings data for every airport that’s used. Some flights will use aircraft, airlines or combinations of them that don’t exist in the simulator and need to be mapped onto something else. We need to work out which of these flights represent a single aircraft landing at multiple airports before it reaches it’s final destination, and split these multi-hop flights down into individual stages. Most importantly, we need to work out where each plane goes after it has landed, guessing at which flight out of the destination airport represents that plane getting back to it’s starting point. It might be going via somewhere else - or several somewhere elses - first, and there might have been more than one version of any stage of the flight. We might need to take several stabs at this if another plane ends up “stranded” with no outgoing flight. Since the sim’s airports and parking are usually different to real ones, some flights won’t fit into the airports when they land, so we need to work out what parking is available in the sim, and of what size, at each one of the sim’s 40-odd thousand airports, and track what planes of what sizes want to park there at all times regardless of whether they’re flying on a two-hourly cycle or a two-monthly one, remembering to check to see if using one parking slot blocks others nearby. Then we need to selectively drop flights that won’t fit, and just to be nice, see if any that used to not fit now do fit, because one of the dropped flights is now not landing at the airport that originally blocked the other blocked flight. I genuinely don’t know if code-share flights are in there too. I haven’t dared look. And then there’s the question of each end-user having add-on airports with different parking availability. So, to return to the original question: Can preparing the traffic database possibly be any more complicated than hitting “Save As…” in Excel? Well, yes. Yes, it can. Next month, you’ll be relieved to hear, I’ll probably be covering something far, far simpler – how to get all these flights into the sim without slowing it down.Dev Diary for Traffic Global XP – February Welcome back! Last month if you recall, we found out that X-Plane makes it rather harder to add AI traffic than Prepar3D and briefly talked about the two different areas that will need to be covered – providing the routes and models, and getting the sim to use them. For one of those two areas I’m lucky. There’s already another package well under way which provides both a traffic database and hundreds of aircraft models, Traffic Global for Prepar3D. There’s a catch though, in that this is for Prepar3D (and FSX and FSW). Those three simulators are very closely related and can to a large extent share data. X-Plane is a completely different beast though, so is any of this any use after all? Happily, yes, it is! Let’s take the traffic data first. A flight is a flight is a flight. It leaves somewhere then flies to somewhere else at a given time on a given day. Well, unless you’re flying with… no, let’s not go there! Precisely how that information is recorded really doesn’t matter and since X-Plane doesn’t have a flight database format of its own, why not just have it read the Prepar3D data directly? Yup, you read that right, X-Plane will be reading a Prepar3D BGL file.The P3D Traffic Global routes Anyone at the back of the room spluttering about cross-contamination, think about it for a second. Why invent a totally new file to do something that’s already done perfectly well elsewhere? Let’s say I did invent a new file format. I’d still need to write a converter or compiler to go from the base flight schedule data to this new format, so it makes sense to just keep using the existing tools and file formats. In fact there are a couple of catches, namely macOS and Linux, but I’ll get back to those later. It helps that I already know the formats from years of writing other tools to read them, and more recently working with traffic and AI on Flight Sim World, but even without that it would still save a lot of time. Okay, okay, and I admit I just like the idea of making X-Plane read BGLs! What about the models though? It’s not going to look great having hundreds of stock B737s lined up at the gates. X-Plane does, naturally, already have a well-defined file format for models and, equally naturally, it’s totally different to Prepar3D’s format. Option one is to rebuild them from scratch. Not really the most efficient approach, even if it’s just going back to the 3D modelling software and re-exporting. In reality it’s more involved than that anyway. Another option would be to buy the rights to pre-existing models and then do thousands of repaints, but this would still take a huge amount of time as well as being expensive. Again, certainly possible, but not ideal. Using pre-existing flyable airliners is also not ideal because they tend to be much, much more complex models than you want for computer-controlled planes that might exist in their hundreds. So how about converting the existing, specially-created low detail Prepar3D ones? A lengthy sniff around the web doesn’t come up with a converter tool. There’s one for taking an X-Plane model and converting it for Prepar3D, but not the other way round. Annoying – but if it’s possible one way then it’s usually possible the other way too. So, that’s what’s been done! X-Plane will be loading a Prepar3D traffic database and converted Prepar3D models.X-Plane 11 screenshots, but Prepar3D models - every single one After defeating some slightly bizarre application of maths in certain animations, it’s working nicely. All of the Prepar3D models have been converted and animate correctly in X-Plane. There’s a few rough edges yet but they’ll get smoothed off between now and release. More importantly, as improvements are made to Traffic Global for Prepar3D, those exact same improvements will be picked up for X-Plane with minimal effort; no re-working, no duplication of effort, just a batch conversion. When I say “just” a batch conversion, I’m glossing over the whole subject of actually writing the converter! This was several weeks’ work in itself and, even so, still needs a few details to be completed. Reading the Prepar3D models is fine, I’d already got code to do that as part of some of my older tools. Writing out a basic, non-animated model that X-Plane’s “Object Previewer” could read was fairly simple too, Laminar Research are generally very good with documenting things. The tricky bit was getting the animations, effects and lighting right. Remember, these are external models only, we’re not trying to map a load of cockpit switches automatically, but there are still a lot of moving parts that expect to receive Prepar3D data. Take something simple like rudder deflection. Prepar3D models might be set up to receive this based on a value between -1 and 1 for full left to full right, or -100 and 100, or an actual angle which might be in either radians, grads or degrees, while X-Plane might only provide rudder deflection as a percentage. Prepar3D even supports basic arithmetic and logic in animations, which X-Plane doesn’t, and all of these options need to be handled for dozens of moving parts across hundreds of models. The goal, of course, is to have all this complexity made invisible in the finished package. If you’ve just bought a traffic add-on and you need to spend the first three hours downloading models from here, paintjobs from there, customising look-up tables, manually copying files and editing configs and running conversions and so on, it’s going to be a bit of a let-down, right? That’s why, as a developer, it’s nice to write about the bits that are usually hidden. The idea is to get everything working smoothly, to make it appear effortless, but the fun and satisfaction of actually doing the programming in the first place is in getting all the conflicting, complex parts to mesh. It’s like the old image of the swan, serenely gliding along on the surface and totally hiding the furious paddling going on underneath. If you were to look in X-Plane right now, you might think there’s not much progress to see. You’d be right in a way; there has been progress, but very little of it is visible. It’s often the way in larger projects though; there are a lot of separate things that need to be put in place, each of which depends on something that isn’t quite done yet before it can start doing its thing. You might not be able to see much – the swan’s not moving and the feet are just beginning to twitch - but the foundations are being laid.EasyJet PeasyJetDev Diary for Traffic Global XP – January So where did this all come from? Seems like a good place to start. For the last couple of years I’d been doing contract work for Dovetail Games on Flight Sim World, mainly on the missions side – they licensed my FSX Mission Editor and commissioned a load of updates both to that and the sim’s mission system – but eventually also in lots of other parts of the sim. Sadly Dovetail stopped work on that in early 2018 as I’m sure you know, and I was looking out for something else to fill the gap. Enter the nice people at Just Flight who said they had something in mind. Yep, Traffic Global for X-Plane.Where is everybody? As it happens, one of the areas I’d worked on for Dovetail FSW was traffic, adding a lot more GA flights to smaller airfields, so I had a good idea how that side of things worked. Short version: a list of flights comes from a file, matching planes come from other files, these in turn are matched against airports and parking availability and as if by magic, you get planes flying planned routes in the sim. Of course, anyone who’s seen The Wizard of Oz knows that “magic” depends on somebody in the background doing a damn fine impression of a drug-crazed tapdancing octopus trying to get all the levers to be pulled at the right time. For a traffic add-on there are in fact two tapdancing octopi: one preparing all the data, and another using it. Just preparing the data – making sure that all the flights work properly, pairing with a simulated world that doesn’t match the real one, providing all the necessary models – is an enormous task. The other octopus, at least for Prepar3D/FSX/FSW (I’m going to use these interchangeably), is provided by the simulator. Feed it the right data, it’ll fly the planes around. Not so for X-Plane. It used to be the case that X-Plane would move planes around for you to some extent if you controlled their autopilot settings. That’s fine for going from A to B, but what about landing? Taxying to parking? Circuit patterns? As it happens, none of that was relevant because this whole facility was removed some time ago. Righto. Can I just feed it some kind of traffic database, like P3D uses? Nope. Oh, and X-Plane only supports a maximum of 20 non-player planes too, even if the autopilot trick still worked, which it doesn’t. If this sounds like I’m beating up X-Plane, bear with me, I’m not! Those 20 planes that can be controlled from outside the sim are really meant for multiplayer rather than AI traffic, so in fact both the small number and the removal of the autopilot kind of makes sense. It does leave you with only one option though: you can have any number of planes added to the sim using a different approach if you control them yourself. Entirely yourself. 60 times a second, you need to tell X-Plane where your planes are, how they’re oriented and animated. For potentially hundreds of planes in the player’s local area from tens of thousands around the world.Ah - that's better! Okay then. This is going to take some planning. SOURCE INFO Just Flight - Developer's diary - Traffic Global for X-Plane 11 WWW.JUSTFLIGHT.COM Explore over 400 add-ons for Flight Simulator on the new Just Flight website. We are proud of our position as the world’s largest publisher of flight simulation software for home PC users, developing and publishing the highest quality software since 1995. 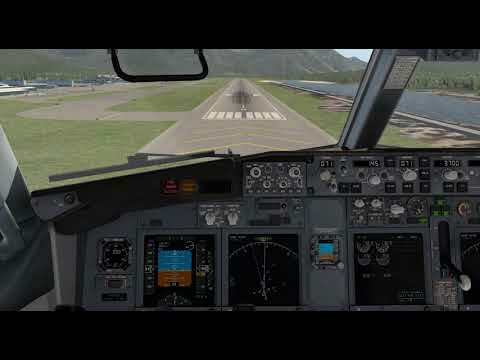 DEVELOPER POST LINK : Just Flight - Developer's diary - Traffic Global for X-Plane 11 WWW.JUSTFLIGHT.COM Explore over 400 add-ons for Flight Simulator on the new Just Flight website. We are proud of our position as the world’s largest publisher of flight simulation software for home PC users, developing and publishing the highest quality software since 1995. NEWS SITE ARTICLE LINK : Just Flight - Developer's diary - Traffic Global for X-Plane 11 WWW.JUSTFLIGHT.COM Explore over 400 add-ons for Flight Simulator on the new Just Flight website. We are proud of our position as the world’s largest publisher of flight simulation software for home PC users, developing and publishing the highest quality software since 1995. New Previews of COLIMATA's Concorde By: Alex John April 18, 2019 New previews of the rendition of the infamous supersonic airliner, Concorde, have emerged from COLIMATA. According to the forum post they were posted on, the aircraft should be available within a month at x-plane.org. Presently, the developer is working on fmod sounds, functionality and the user interface. COLIMATA also released a preview video on the airliner's 50th anniversary of its maiden flight. See the development thread here. ‍ SOURCE INFO DEVELOPER POST LINK : NEWS SITE ARTICLE LINK : New Previews of COLIMATA's Concorde | Threshold WWW.THRESHOLDX.NET Further previews of COLIMATA's Concorde have been released. They primarily look at the cockpit of the supersonic airliner, and another of the Rolls Royce engine cowling. | Threshold: Question the Answers. Worldwide Texture Replacement "Global Earth" Now Available By: Sam Clark April 18, 2019 A new product has appeared on simMarket courtesy of virgin developer Resentium. The addon claims to be "a new ear of reality in the simulator", and includes improvements in three different sections of the simulator. First, the addon includes variable 'non-tile' texture replacements, replacing the default ground textures. Secondly, Global Earth includes improved autogen buildings, and lastly, the product improves upon X-Plane's default forest representation. The feature list can be found below: Highly detailed custom terrain textures whole the world High resolution of all terrain textures whole the world Highly detailed mountains area Removed sharp transitions between different terrain textures Work well with any mesh for x-plane 11 Improved autogen textures Improved facades textures Newton lightning from autogenes Autogenic has realistic color shades Partial application of PBR technology to autogen Well visible from height the color of roofs Work well with Ortho4XP Realistic dense forest Gorgeous trees color It is important to note that Global Earth is not compatible with "season change programs", which likely means that Maxx-XP's TerraMAXX does not work with the new product. You can purchase Resentium's Global Earth for EUR 69.90 (exc. VAT in the EU) from simMarket. SOURCE INFO DEVELOPER POST LINK : NEWS SITE ARTICLE LINK : Worldwide Texture Replacement "Global Earth" Now Available | Threshold WWW.THRESHOLDX.NET A new product has appeared on simMarket courtesy of developer Resentium. The addon, named "Global Earth" is a complete overhaul of X-Plane's default ground textures. | Threshold: Question the Answers. [Edit 1715z] Flight Factor A320 0.10.1 Beta Adds Weather Radar Just minutes ago, aircraft development team FlightFactor announced the release of a new beta update to their A320 aircraft. Beta version 0.10.0 only has a four line change-log, however it includes one of the most anticipated additions to the aircraft since its release last year: the weather radar. xEnviro developers have confirmed to Threshold that the weather radar in the A320 will be fully compatible upon the release of version 1.10. In addition to weather radar, v0.10.0 also includes a fleshing out of cabin functionality, with a new flight attendant panel being added alongside cabin illumination controls. A320 developer Asso debuted the changes in a post that reads: "Hi guys! We have new beta version available. Please update your aircraft. To get the beta you need to make sure you checked beta checkbox in the updater. Please remember this is BETA version. It may be unstable and may have bugs. Please report bugs and issues here. We'll do our best to fix it." ‍ The change-log is as follows: Weather radar added CIDS: Added Flight Attendant Panel (FAP) to EFB CIDS: Cabin and galley illumination control from FAP CIDS: Cabin ready function To update, run the X-Updater program and ensure the "beta" checkbox is ticked. To find out more about FlightFactor, check out a previous article where developers tease a potential update to the group's 757, included retro-fitted widescreen displays. ‍ Edit 1715z: Version 0.10.1 has been released with the following fixes: Removed flare and glow from internal lights Fixed transparend weather radar background﻿ SOURCE INFO DEVELOPER POST LINK : NEWS SITE ARTICLE LINK : [Edit 1715z] Flight Factor A320 0.10.1 Beta Adds Weather Radar | Threshold WWW.THRESHOLDX.NET Aircraft development group FlightFactor have announced the release of a new beta update to their A320. v0.10.0 most noteably includes the addition of weather radar. | Threshold: Question the Answers. x-plane X-Aviation and Digital Replica-Cessna 310L v1.1.0a Released! Experimental aircraft developer VSkyLabs has announced that another helicopter will be joining their fleet towards the end of this year. The Cicaré 8 is produced by Argentinian firm Circaré S. A. in Buenos Aires, and is the latest in VSkyLabs' recent turn towards helicopter development. The announcement came via the VSkyLabs Facebook page a few hours ago: In terms of development timelines, the developer predicts completion will aimed at a late 2019/early 2020 release, but is obviously subject to change. A product page for the aircraft will be set up on the VSkyLabs website in the next few weeks. You can see more from VSkyLabs in a previous article, which covers their most recent release, the ICON-A5 amphibian. SOURCE INFO DEVELOPER POST LINK : NEWS SITE ARTICLE LINK : VSkyLabs Announces Cicaré 8 Helicopter | Threshold WWW.THRESHOLDX.NET Experimental aircraft developer VSkyLabs has announced that another helicopter, the Cicaré 8, will be joining their fleet between the end of 2019 and early 2020. | Threshold: Question the Answers. Swift, the in-development multiplayer pilot client, has been officially approved by VATSIM, thus is allowed to be used on their network. We first reported on Swift back in March and since then their Discord server has been a hive of activity. Just earlier today version 0.9.0 was released, indicating the beginning of the open beta stage of development. The Virtual Air Traffic Simulation Network had previous ruled against the usage of Swiftbeing on their servers, due to some administrative tasks that were yet to be completed regarding Swift's approval. More in the article! Looking good! SOURCE INFO DEVELOPER POST LINK : NEWS SITE ARTICLE LINK : Swift 0.9.0 Released: VATSIM Approved, Open Beta Ready | Threshold WWW.THRESHOLDX.NET Swift, the in-development VATSIM pilot client, has been officially approved by the Virtual Air Traffic Simulation Network, thus is allowed to be used on their servers. | Threshold: Question the Answers. PMDG head Robert Randazzo has issued another status update via their new forumaddressing a range of points, including the likelihood of another X-Plane product in the works. The main body of the post is based around updates on their 747 and NG3 (unreleased) products for Prepar3D. Towards the bottom of the post, Randazzo mentions the DC-6, for both Prepar3D and X-Plane. He says this of the XP11 version of the aircraft: "...and also about updating the DC-6 to X-Plane 11 a bit later this year." More in the source article SOURCE INFO DEVELOPER POST LINK : NEWS SITE ARTICLE LINK : PMDG Consider Porting "One of the Airliners" to X-Plane in Late 2019 | Threshold WWW.THRESHOLDX.NET PMDG head Robert Randazzo has issued another status update via their forum addressing a range of points, including the likelihood of another X-Plane product in the works. | Threshold: Question the Answers.